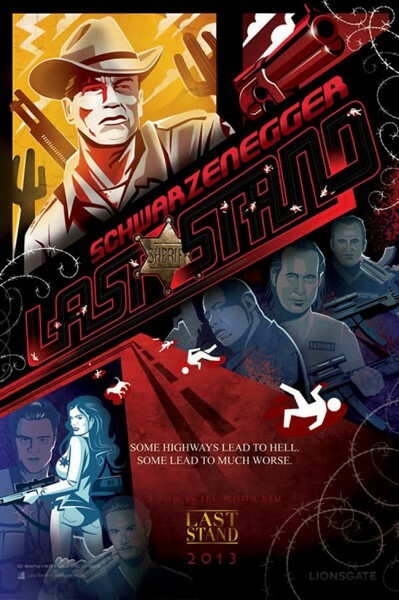 If we are not already stoked enough about Arnie’s return in The Expendables 2 (well, I am anyway), Lionsgate have released the first poster for the upcoming Schwarzenegger action flick the Last Stand. Arnie stars as Sheriff Owens, a former LAPD officer now seeing out his days in a sleepy border town. But when a notorious criminal escapes from an FBI convoy and appears headed his way, Owens must front up and prepare for action once more. Directed by Kim Jee-woon, the film also stars Forrest Whittaker, Harry Dean Stanton and Peter Stormare among others and is set for a 2013 release.